Reduce the manpower needed to pick, pack and ship items in NetSuite with a single mobile function. Perfect for companies with small orders or items that ship individually. One inefficiency that companies, like e-commerce businesses, with small orders or individually packed items face is that it takes multiple touch points from different users to process sales orders and get product to the shipping dock. RF-SMART’s Pick, Pack, Ship combines the process into one mobile function, including the printing of the shipping labels and packing slips to a user-defined printer. The workflow is set up like our others, with easy-to-follow navigation and a color coded UI - but it allows one worker to pick, pack and ship an order straight from the device. How does Pick, Pack, Ship work? The user scans a Sales Order, assigns a box type and then picks the order. If additional boxes are required, the user selects a new box and continues picking. There is also an option to move items between boxes prior to updating NetSuite. After the picking and packing process is completed, the user is prompted to print shipping labels and packing slips. The assignment of box types and the printing of all documents to a user-defined printer can be setup to a default parameter automatically. 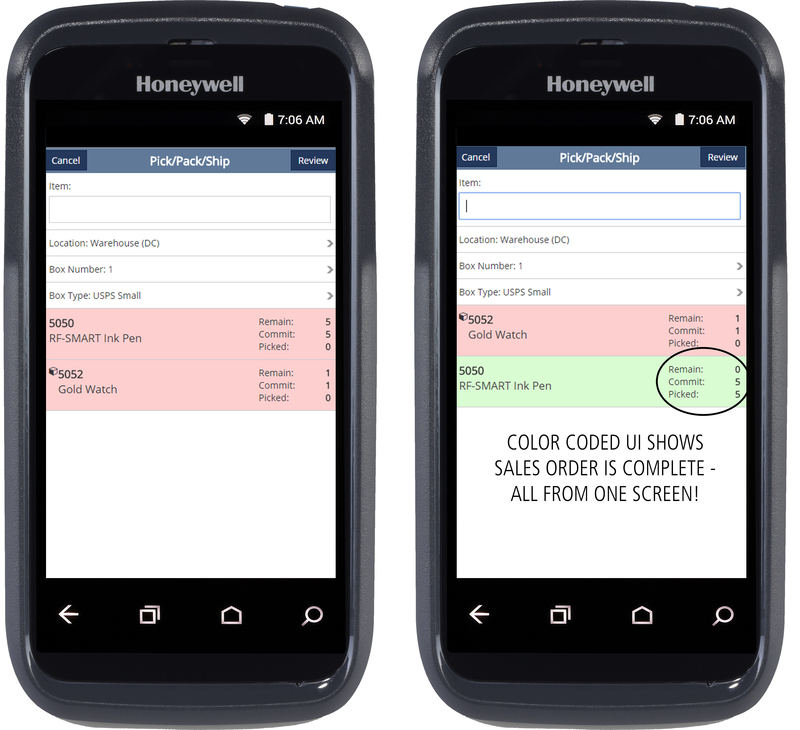 Your workers gain the mobile flexibility to complete multiple tasks in processing a sales order in real-time, all from the same workflow. Increase your data accuracy and efficiency in your packing processes, what’s not to love? Want to improve your packing process?